The automotive industry is in the midst of a digital revolution. With the introduction of Vehicle-to-Everything (V2X) technology, the need for stronger security primitives is imminent. In the US, Secure Credential Management System (SCMS) is the leading candidate for provisioning and managing V2X certs. Moreover, it ensures privacy-by-design by introducing the concept of a “butterfly key expansion” process. In this talk, we review various V2X technologies, its security primitives (classical and quantum resistant crypto) and proposals for the simplification of the SCMS provisioning process. In particular, we review the unified butterfly key expansion process, pseudonym certificate revocation using activation codes and SCMS designs with quantum resistance. 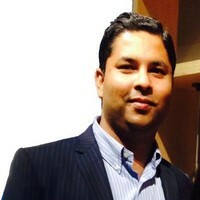 Dr. Harsh Kupwade-Patil is a Sr. Staff Research Engineer (IoT Security) at LG Electronics Mobile Research, Santa Clara, CA. Prior to joining LG, he was the director of research at Nanthealth Inc. Previously, he was involved in collaborative research work with Cisco Systems Inc., Sipera Systems (acquired by Avaya Inc.) and Bell-labs, Alcatel-Lucent. He has prosecuted and litigated patents during his stint at Fish & Richardson P.C. He holds a Master’s Degree in Electrical Engineering and a Ph.D. in Applied Science from Southern Methodist University, Dallas, Texas. He is the author of the book titled “Security for Wireless Sensor Networks using Identity-based Cryptography.